Combining the Medieval Museum and the Georgian Bishop's Palace, the Medieval Museum is currently ranked # 1 attraction in Waterford on Tripadvisor.com, the only museum in Europe built over two National monuments, the 13th century Choristers’ Hall and the 15th century Mayor’s Wine Vault, the award winning Medieval Museum will take you through the medieval history of Waterford city. The Bishop's Palace is a magnificent Georgian residence and a must-see attraction that is rated #3 attraction in Waterford on Tripadvisor.com. Experience authentic grand eighteenth century living in this beautiful Georgian building by being taken through time with our re-enactors who will guide you through the history of the palace, the artefacts and the history of Waterford City at the time. The award-winning all weather guided tour of the oldest part of Ireland’ s oldest city, the ‘Epic Tour of the Viking Triangle’, is an interactive fun guided tour of the Viking Triangle, giving you access to six national monuments (duration one hour).The larger-than-life guide speeds you through the streets and through 1100 years of Waterford's history from the Vikings to the Victorians. Indulge your inner actor - you might get to be Strongbow or Aoife and get married, you might be Thomas Francis Meagher flying the Irish flag for the first time in Ireland. 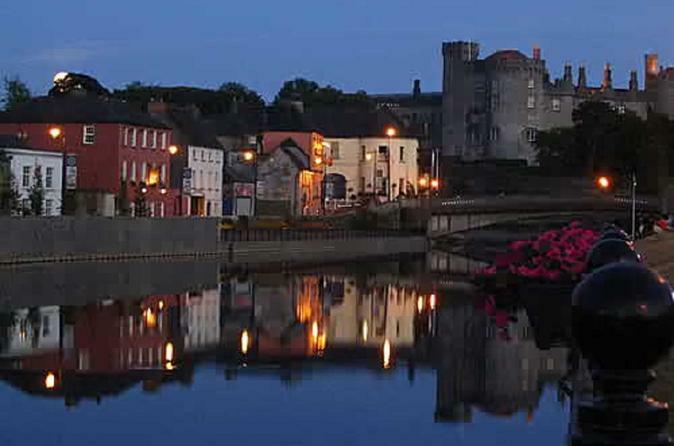 The tour begins with a pick up from the cruise liner terminal in Dunmore East and a drive to Kilkenny, the medieval capital of Ireland situated on the banks of the river Nore. Here you spend time discovering this lovely city with highlights including the St. Canice's Cathedral and of course the Kilkenny Castle (Norman Castle) dating back to 1195. 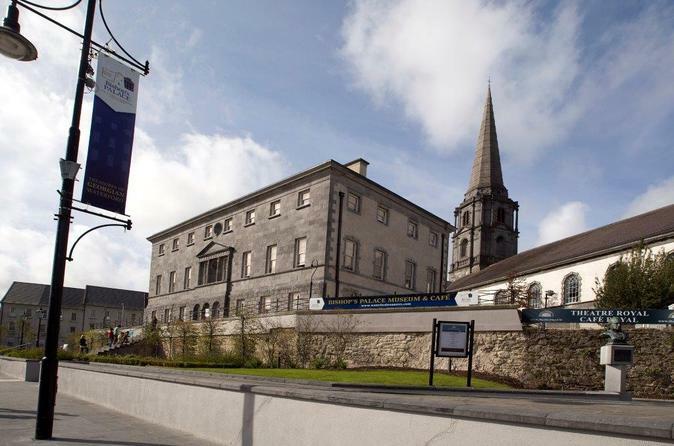 There will be time to visit Kilkenny design center where you see some traditional arts and crafts, and enjoy a fine lunch with great selections of all types of traditional and artisan foods (not included). 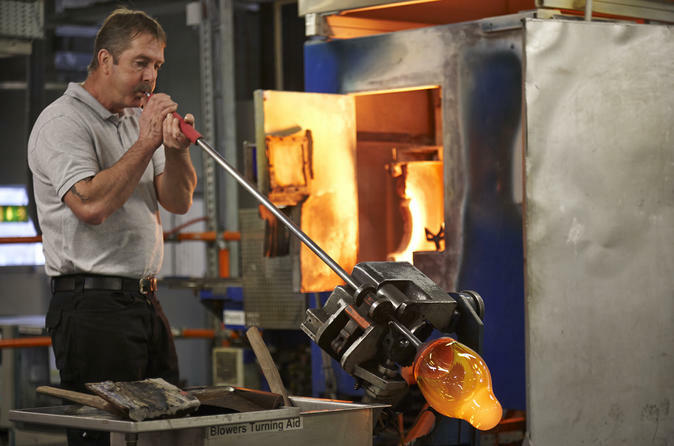 You head back to Waterford where you see Reginald's Tower, the Viking Triangle and end up in Waterford Crystal factory and take an amazing tour where we can see the glass blowers in action crafting the fine pieces. You will return to port 1 hour before departure after a wonderful day spent touring this region, and hopefully we will meet in the next port! The House of Waterford Crystal comprises of a manufacturing facility, visitor centre and retail outlet. Visitors can enjoy all aspects of the manufacturing process through the factory tour and learn about both historical and contemporary production techniques through direct interaction with the craftsmen and audiovisual materials. The manufacturing facility contains a brand new continuous melt tank furnace that uses leading edge technology to deliver molten crystal, for skilled master blowers to hand-shape and hand-blow into Waterford Crystal’s range of premium products. The retail centre represents the largest display of Waterford Crystal in the world. 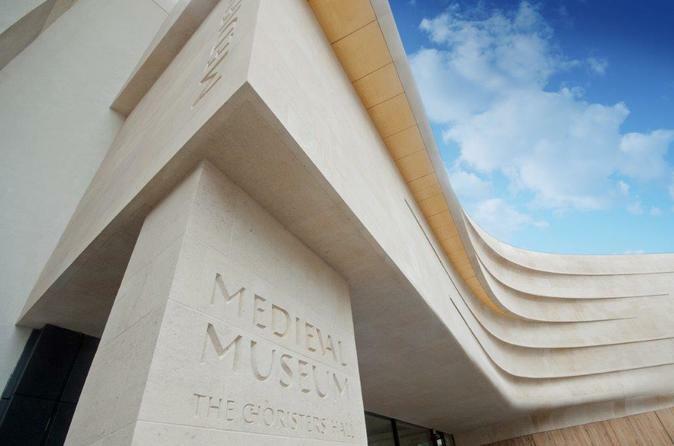 The award winning Medieval Museum is the only museum in Europe built over two National monuments, the 13th century Choristers’ Hall and the 15th century Mayor’s Wine Vault. Tours can be taken by re-enactors or using our audio guides, at no extra cost. This magnificent Georgian residence is a must-see attraction. Experience authentic grand eighteenth century living in this beautiful Georgian building. Don’t miss the oldest surviving piece of Waterford Crystal in the world dating back to 1789, and the Napoleon Bonaparte’s Mourning Cross; the only one to survive out of the original twelve that were made on his death. Take the multi-media handheld guide or enjoy a family friendly tour with a costumed performer.